Here’s The Monday Mix for this week! To visit past mixes, click here. I splurged on some new sneaks (right) for my birthday last week. Same exact pair but no longer shredded. Should have taken a pic of the bottoms, yikes! 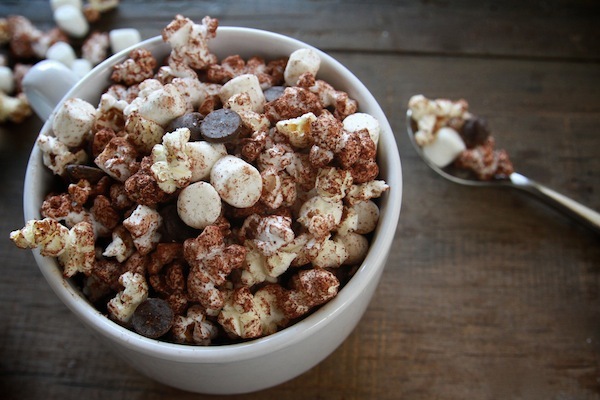 Hot Cocoa Popcorn? Shutterbean, why must you do this to me?! 26 Costumes That Prove Pugs Always Win At Halloween. Baked Pugtato and Lord of the Pugs kill me. In the craft world there is some serious crap going down right now: original freelance artists are being blatantly ripped off by a company called Cody Foster, who are selling their knockoffs for profit without crediting the original artists. Two artists they did this to most recently are two of my craft heroes: Lisa Congdon and Mimi Kirchner (their stories of being stolen from at those links). This whole thing is outrageous and I hope Cody Foster gets sued for all they are worth. Ray Bradbury on How List-Making Can Boost Your Creativity. I love this article. I need to add it to my calendar to read purposefully every few months.